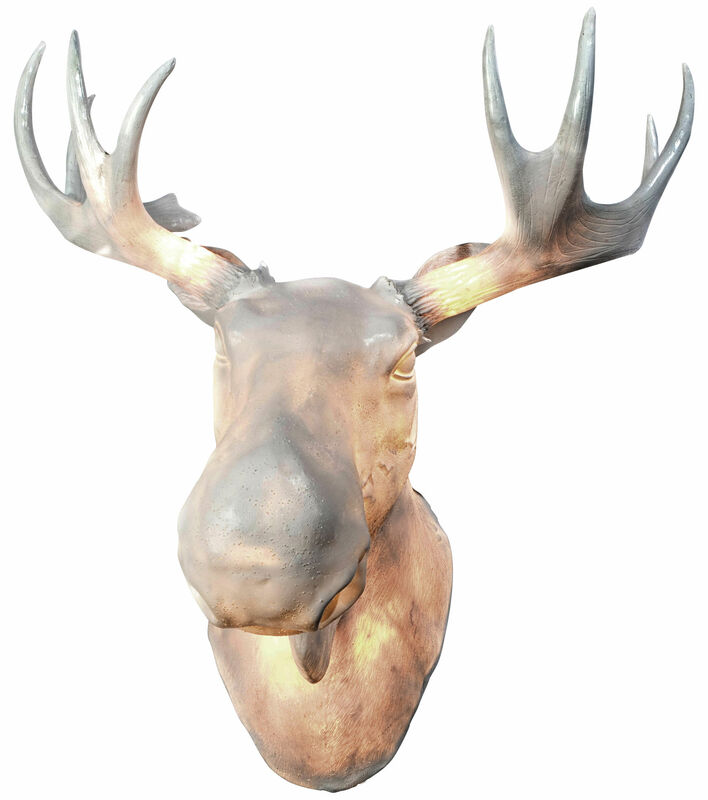 This luminous moose head is a funny reinterpretation of traditional hunting trophies that dominate above chimneys! Thought-out by Norwegian designers Trond Svendgard & Ove Rogne, Moo looks very extraordinary on walls and creates a funny, dreamlike world. 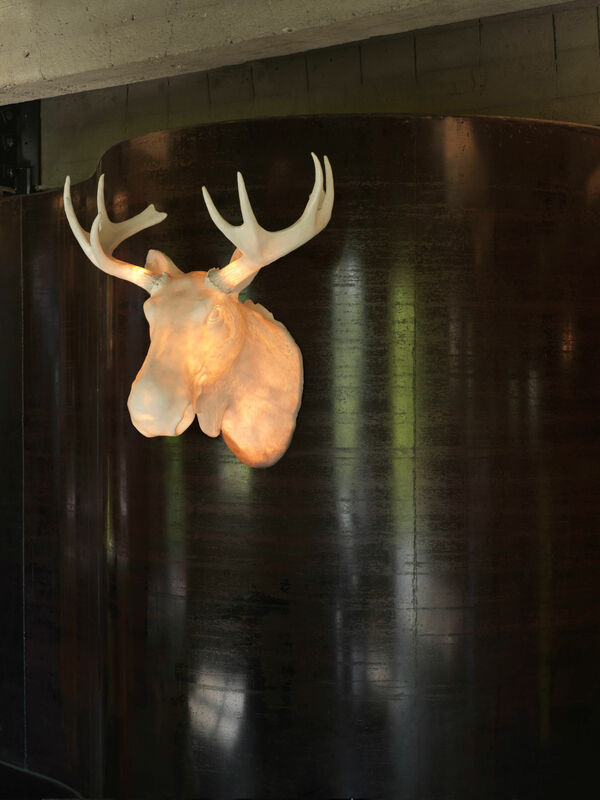 This resin wall light is for both indoor and outdoor use. 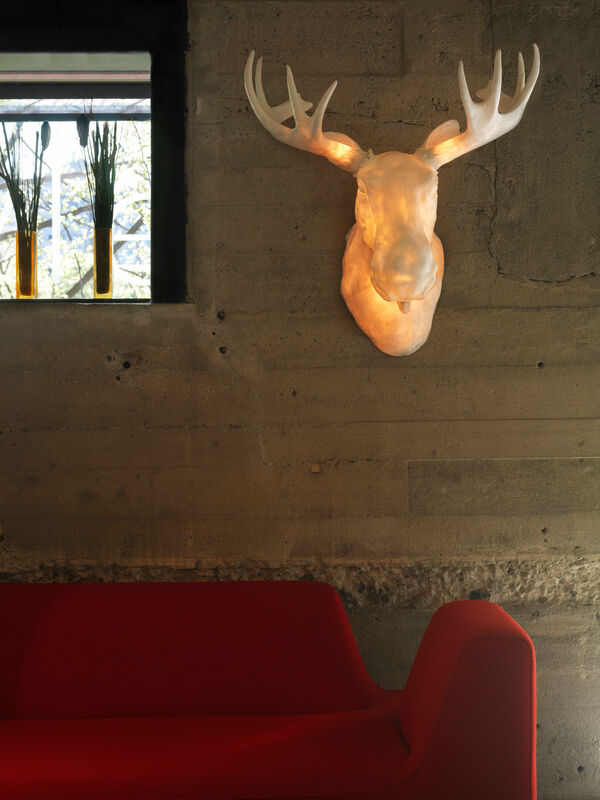 Moo is a lovely decoration that provides soft light and shows wonderful light effects when switched on. There are four light sources placed in the elk’s head, two of them are in its horns. The light coming out from horns shows realistic details of the wood. Made for fans of out-of-ordinary design, Moo reflects the quirky, provocative spirit of the new wave of Scandinavian design. Designers from Northern Lighting find inspiration in Norwegian nature and in Scandinavian culture and society. It is not surprising at all that they have chosen elk, “the king of Norwegian forest”.